The upcoming BlackBerry Mercury smartphone has leaked once more- this time a screenshot of Android 7.0 on the device has been shown and apparently confirms an alleged display of 1620×1080 pixel resolution (420 ppi density). Rumors so far suggest a Snapdragon 821 chipset will be used in the device; that plus 4.5 inch screen size with a battery to last “two days” should make it quite the interesting product for 2017. The Mercury handset will feature a physical QWERTY keyboard (rejoice BlackBerry fans), and is set to be competitively priced for the US markets. It is wise to bare in mind that so far, these are all rumors; nothing has yet to be confirmed by the phone manufacturer. 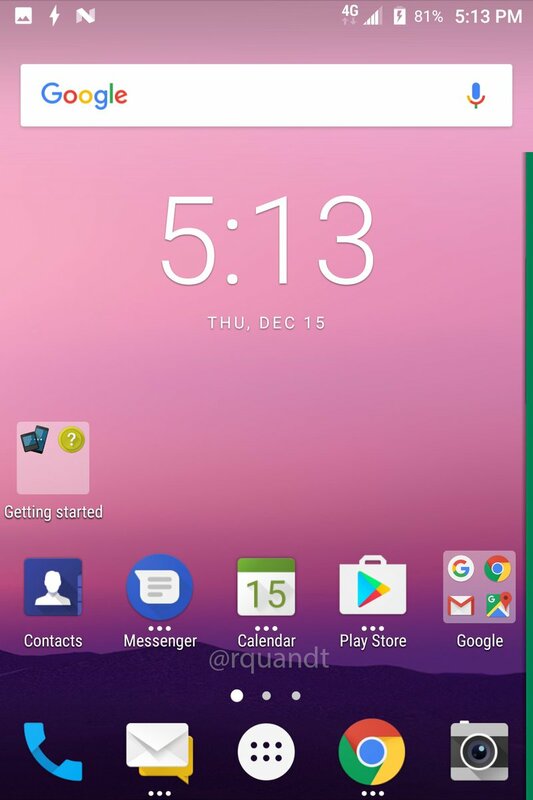 Here’s a screenshot of Android 7.0 on the BlackBerry “Mercury” BBB100-x. 1620×1080 resolution 420dpi.